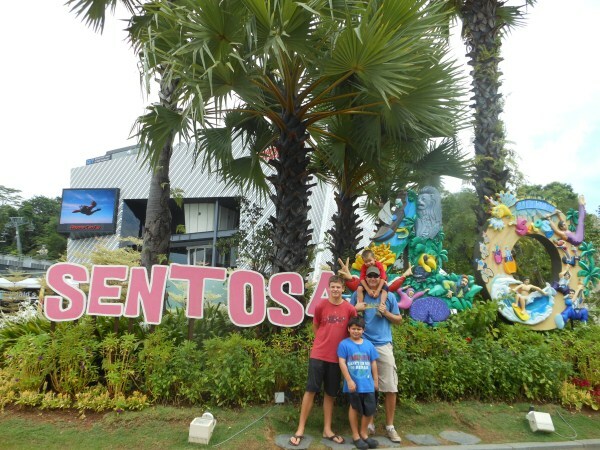 Sentosa Island in Singapore is a thrill seeker's paradise packed full of exciting attractions. Universal Studios is just the start of the fun, but throw in the biggest sky diving wind tunnel in the world and a wave house for surfing and you've got yourself more fun than most people can handle. One of the most popular and affordable family attractions on the island is the Skyline Luge. Knowing that it would be a hit with the kids, it was our first stop once we landed at Beach Station. We were all thrilled when Skyline Luge offered us complimentary tickets to check out the park. 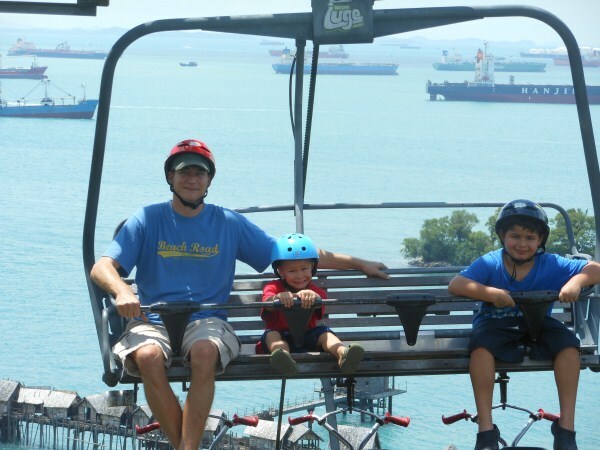 The Skyline Luge has a four-person chair lift that takes you up the hill offering incredible views of the city and sea ports around Singapore and the jungle vegetation below. While climbing in the lift you catch glimpses of the helmeted luge racers skirting down the slope on smooth paths, and excitement builds for your turn to go. As you approach the peak of the hill, attendants are waiting to help you dismount the perpetual lift and lead you to gather helmets for your dissent. The helmets are new and plentiful in every size, although the kids did some fretting over which color was best. The luge sleds were easy to operate as you simply had to pull on the handle bars to brake, but the attendants made sure everyone got the feel for them before they let you race down the track. The first run was exhilarating even if we were all a bit timid at first. As we weaved through the slalom toward the bottom of the track, my 5-year-old teased other riders as we blew past them down the 650 meter track. Before we knew it we were at the finish line and chomping at the bit to go down the second track. Once is never enough as is repeated throughout the journey...and it was very true. The boys hustled back to the chair lift eager to let it fly now that they were comfortable with the contraption. For the second run there was no need to pause to pick out helmets as we already had ours on, and there was absolutely no line for track two. Track two was clearly set up for someone comfortable in the sled. There were less barriers and a faster speed was inescapable, but welcomed. Part go kart, and part toboggan, this is a truly unique outdoor experience suitable for all ages. The park is open daily from 10am until 930pm. 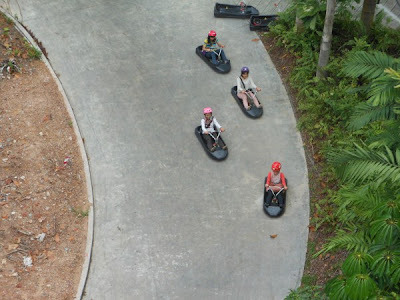 To ride the luge alone you must be 110 cm, but anyone younger can still ride they just need to couple up with an adult. In order to ride the skyride, a rider must be at least 85cm and accompanied by an adult. Children under 85cm are not allowed to ride the skyline or the luge. Another option that we did not stick around to take part in is night luge. 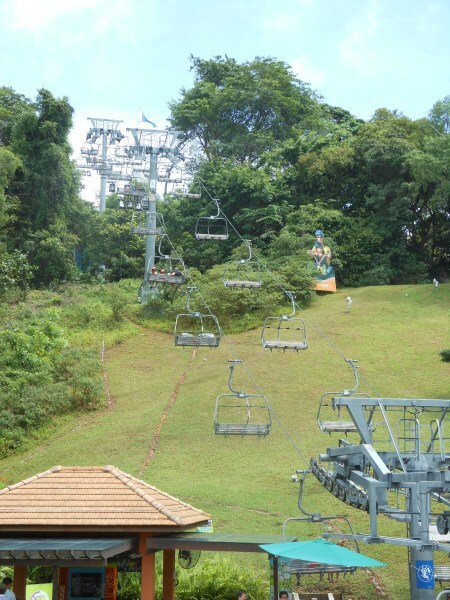 It is a whole new challenge trying to maneuver down the beautifully lit path, and on the ride up the skyline you will experience the stunning view of Singapore lit up in the distance. All in all this is a fantastic spot to visit with your family when in Singapore. 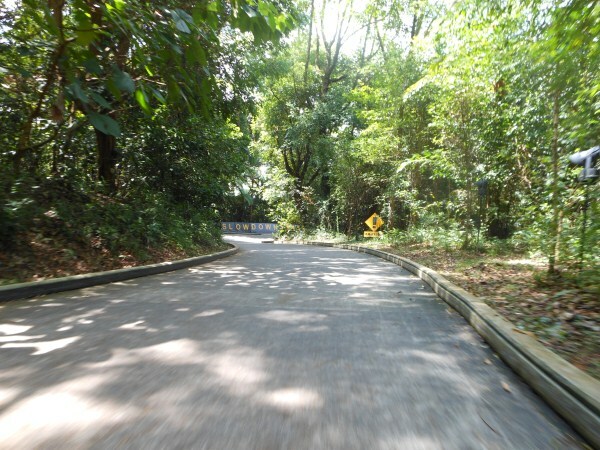 It is a short ride so be sure to couple the day with one of the other fantastic spots on Sentosa Island. 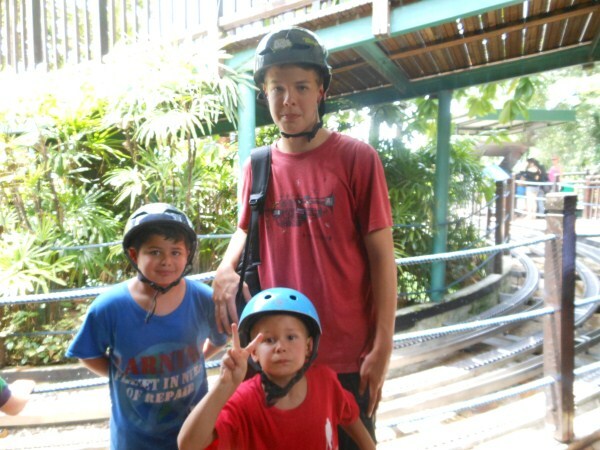 You all surely know how to have fun and I love to have fun with the go cart and Skyline Luge. That’s really cool and I would love to go on a trip like this one day.